Painting surfaces for acrylics, otherwise known as supports or substrates, can cover a wide range of materials. I'm sure you've been told a million times by now about the versatility of acrylics. Well, it's also true when it comes to supports. As long as it's not oily or shiny, you can paint on it with acrylics! 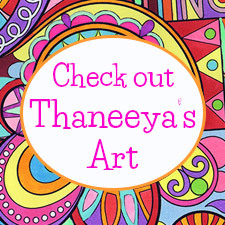 The most common surface for acrylic painting is canvas, so I put it on its own page, which you can read here: canvas for acrylic painting. 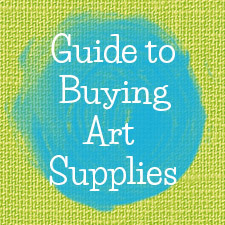 This page will focus on all the other painting surfaces for acrylics that you can use: Hardwood Panels, Acrylic Paper, Watercolor Paper, Other Papers, Impermanent Materials, and Metal and Plastic. Hardwood panels have been used for centuries, mostly for oil and tempera paints. 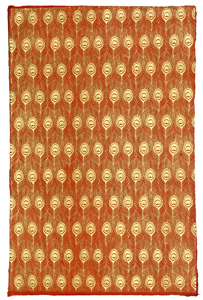 Typically made from hardwoods like oak, birch, mahogany and walnut (because softwoods are prone to warping), these panels last a long time, making them a good alternative to canvas for those who want their art to endure. They're less popular as painting surfaces for acrylics because they can be very heavy and the well-seasoned varieties (which don't warp or split) are expensive. 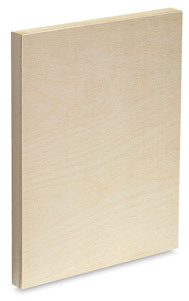 Many artists have shown a preference for the cheaper hardboards and panels (seen below). 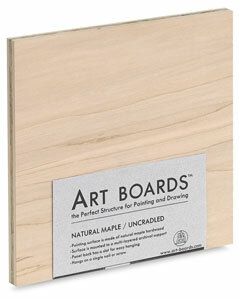 American Easel stocks affordable birch wood panels which are well received. You can also try plywood - which can warp - but will last quite a while if treated properly. Alternatively, if you know something about wood it can be quite satisfying to re-purpose old pieces of wrecked furniture for use in your art. Hardboard panels, also commonly referred to as masonite, are made from a mixture of wood fibers that have been broken down and molded into a board using heat, pressure and the natural adhesion of lignin. They're a good choice for beginners and make excellent painting surfaces for acrylics because they're cheap but durable. Some professional artists even prefer masonite over canvas. Masonite comes in tempered or untempered form. The tempering process involves flooding the board with linseed oil after it comes out of the hot press. This gives it a harder, sealed surface but makes it unsuitable for acrylics which won't mix with oil. For this reason you should use untempered masonite with acrylics which is softer and slightly more absorbent. The front surface of masonite is smooth and the back is rough and textured.You can paint on the back, but most prefer to use the front which should be sanded beforehand to give the surface some tooth (unless you buy it ready-primed). You don't need primer, but most artists apply an acrylic gesso before painting. 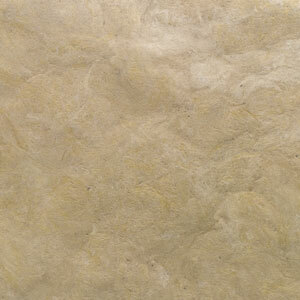 You can also purchase pre-primed masonite in a range of colors. 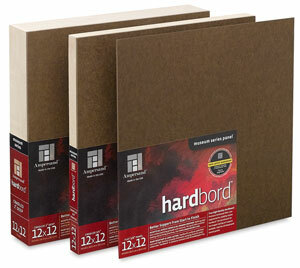 If you can't afford canvas but want something that'll last a while, give masonite a try. The only negatives are that large panels can bend and possibly warp over time. You can prevent this by using wood battening across the back and by priming the front, back and edges of the board. 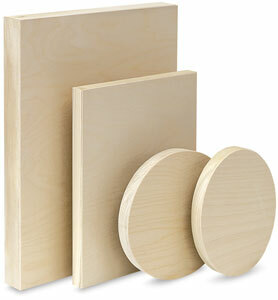 MDF is a more recent type of hardboard that is similar to masonite. 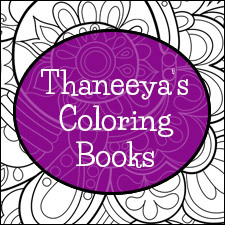 For the purposes of most artists, the two products are interchangable. The main difference is how they're made. The MDF manufacuring process utilizes a similar process involving heat and pressure but combines the disintegrated wood fibers with a wax and resin binder. MDF is newer than masonite and possibly more durable, but its articifial resin contains carcinogenic formaldehyde which can be released into the air and inhaled if you cut into the board. Safer MDF products are beginning to become available, but I would still take precautions. Use a respirator if you need to saw into the MDF and prime all sides of the board before painting to help prevent the formaldehyde from being released from the surface. MDF is not quite as dense as masonite, although denser than plywood and particle board, but it is thicker than masonite which is typically only 1/8" or 1/4" thick. MDF sheets are made in a range of thicknesses up to 1 inch, which is handy for artists who prefer a thicker support. 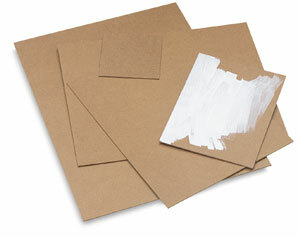 Like masonite, MDF is cheap, long-lasting and provides a good surface for acrylic paint. Just remember to use it safely. Paper is a fine painting surface for acrylics, and if you use high quality archival paper you can create permanent artworks. 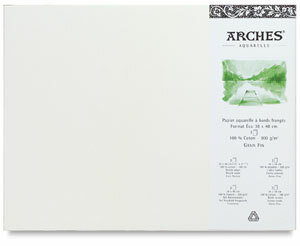 There are some papers designed specifically for acrylics but, depending on your needs, you can use any type of paper. 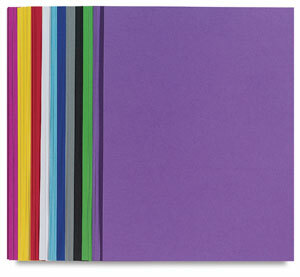 A few manufacturers make paper specifically for use with acrylic paint. 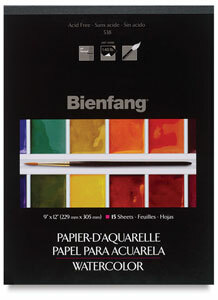 It's heavyweight paper that can be bought in sheets or pads that supports all kinds of acrylic techniques. 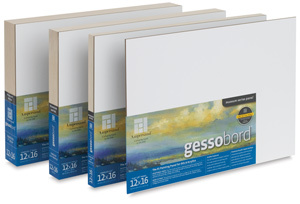 Depending on the techniques you'll be using, it's usually wise to prime the front and back of the paper with acrylic gesso which will help preserve your finished artwork for years to come. 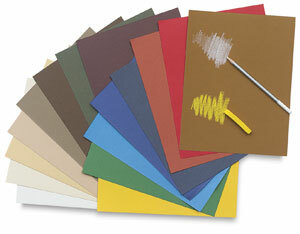 You can also use acrylics on watercolor paper which comes in a range of grades, sizes, and textures. For more information see my Watercolor Paper page. 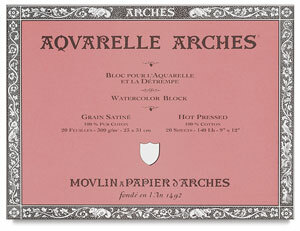 There are two main grades of watercolor paper: artists' and students' grade. Use artists' grade if you care about quality and permanence, but save some money with students' grade if you're a beginner or just practicing. 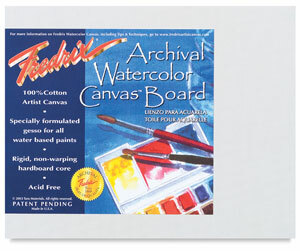 Watercolor paper is typically bought in separate sheets. 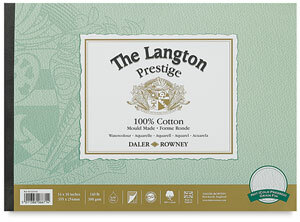 Some manufacturers offer their paper in large rolls, which can save you money. 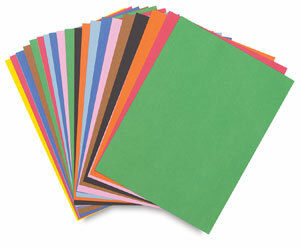 You can also buy spiral-bound pads which are great for using outdoors but usually contain students' quality paper. You can paint on watercolor paper with or without an acrylic gesso, but if you're using diluted acrylics to create watercolor effects you need to stretch the paper first to prevent wrinkling. 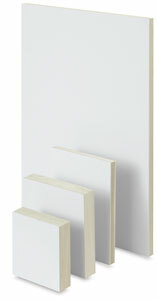 A convenient way around this is to buy watercolor paper blocks or panels. 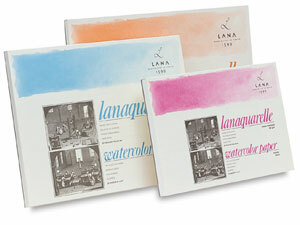 Watercolor blocks are thick sheets of paper stuck together by glue which has been applied around the edges. After painting on the top sheet you can slice it from the pile and start working on the blank sheet underneath. 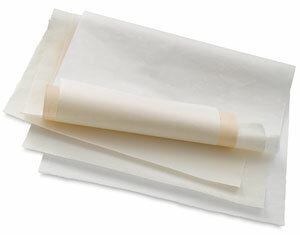 Finally, you can try Yupo Watercolor Paper which is synthetic paper made from polypropylene. I've played around with Yupo and it has a weird surface that certainly doesn't feel like paper. It's slick and non-absorbant and fun to experiment with. The advantages are that it's very durable and strong, which means it won't tear, buckle or wrinkle, so you don't have to worry about stretching it beforehand. It's great for acrylics and a whole range of media except for oil paints. If you like creating different effects by painting on toned ground, you can experiment with colored papers that come in a range of qualities and textures. 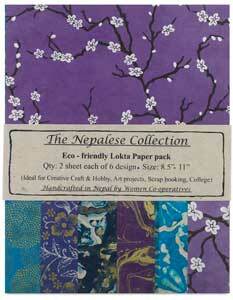 You can also experiment by painting on Japanese, Nepalese, Bhutanese, Thai, Indian, amate, and bark papers. Each is made differently and possesses it's own unique properties and textures. It's up to you to experiment to see how the paint adheres to the paper and if a primer is necessary. 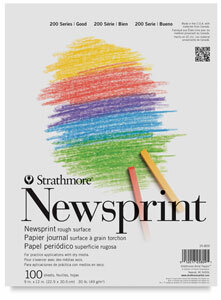 But using novel forms of paper is a cool way to create distinctive artwork. Acrylics have allowed some artists to experiment with materials previously dismissed as unsuitable as painting surfaces because they were fragile and impermanent. 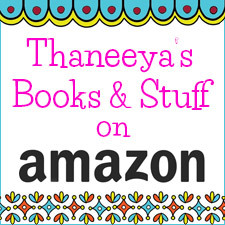 Examples include cardboard, construction paper, tissue paper, upson board and even newsprint. 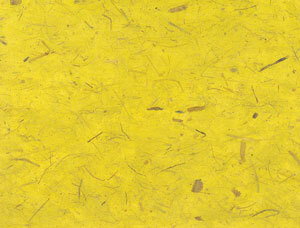 These materials are not acid-free and will only take a few years to start turning yellow and brittle. But acrylic paint acts as a preservative, drying quickly and sealing the surface. If you also treat the front, back and sides of the finished artwork with acrylic varnish or diluted matte medium you can make an impermanent material last 50 years! You can also use acrylics to paint on metal and plastic surfaces. I said above that shiny surfaces aren't suitable for acrylics. All the acrylic paint needs is a surface to grip or else it can be easily peeled off. So if you want to paint on shiny metal or plastic, you just need to rough it up a bit with sandpaper to give it "tooth". Oily or waxy supports, which rules out anything primed specifically for oil paints, is unsuitable because the acrylics won't bind with the surface and will eventually come off. Most people will want to stick with canvas, boards and paper, but if you like experimenting with different techniques, textures, effects, and innovations why not try something unusual?